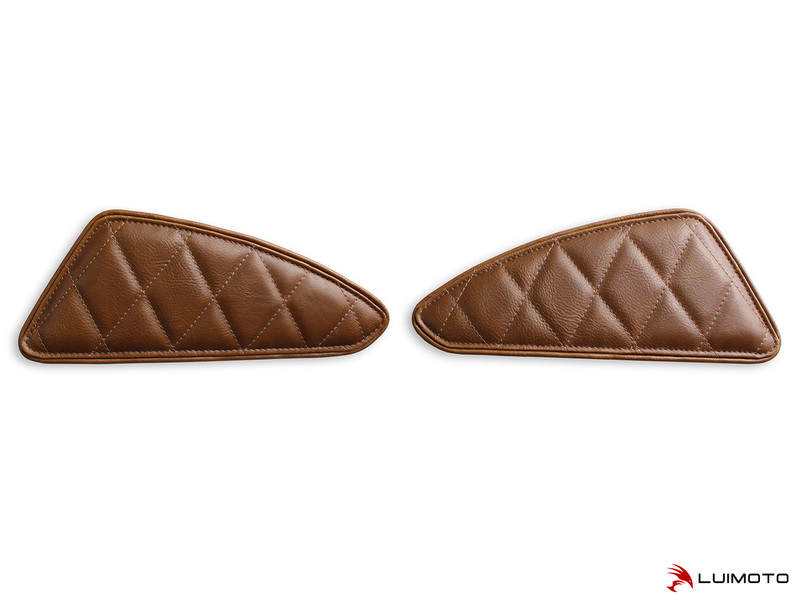 Tank Leaf is the motorcycle tank grip evolved - the first of its kind to blend function and form. Tank Leaf is handcrafted using our vintage synthetic leather, and made in an elegant diamond pattern that will accentuate the look of your modern classic. Looking for something with more performance? This set is also available in Tec-Grip, promoting superior rider stability. Pair Tank Leaf with one of our Designer Seat Covers to complete the look. Ride in style with Luimoto! *Tank Leaf made with Vintage vinyl is mainly for aesthetics purposes only. They may not necessarily contribute to grip.